Random Packing is utilized by both new tower designs and older tower conversions. 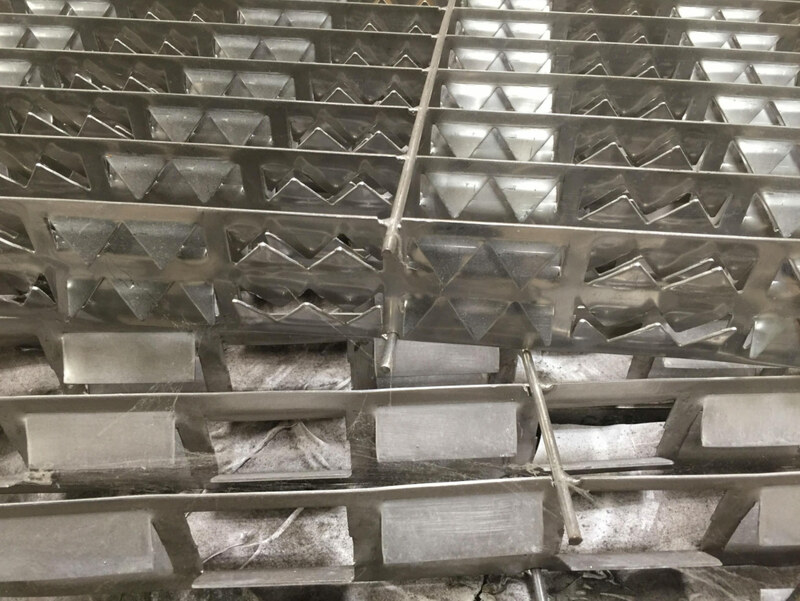 Conversions from existing tray internals to random packing is typically done for increased tower performance and are attractive due to lower fabrication complexity, less field installation and less service expense. Structured Packings – Structured Packing Towers are often utilized by new grass root plant designs or selected to upgrade an existing tray or random packed internals for maximum tower performance. 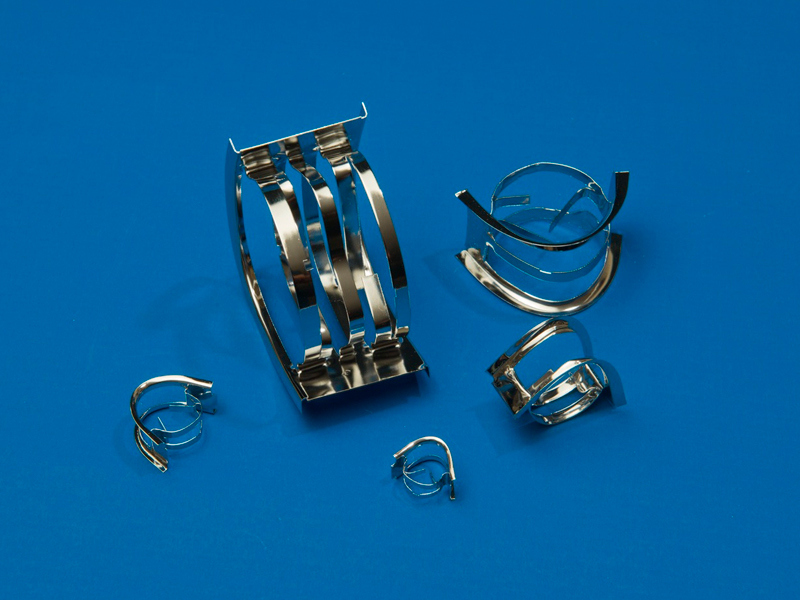 Structured packing towers offer superior internal surface areas for increased mass transfer efficiency and operate at lower pressure drop levels than most older conventional tower internal product solutions. 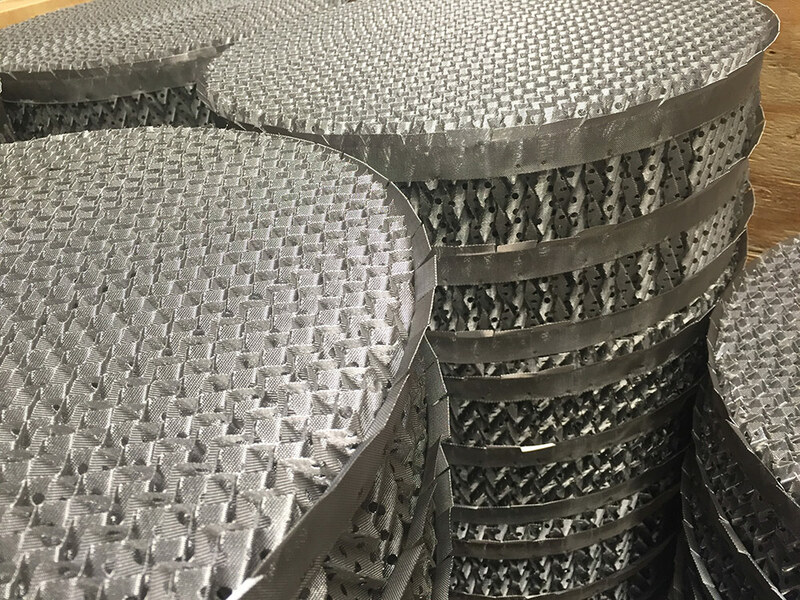 Woven Metal Products offers the industry’s main types of grid packings, including W-II, W-III and W-F25A grid packing.